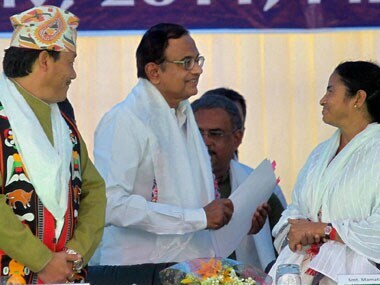 Less than 24 hours after the formation of the "historic" Gorkhaland Territorial Administration (GTA) was announced on Monday (18 July) with much fanfare in the presence of West Bengal Chief Minister Mamata Banerjee, Union Home Minister Palaniappan Chidambaram and Gorkha Janmukti Morcha (GJM) supremo Bimal Gurung, the last-named individual categorically told his supporters that the demand for a separate state of Gorkhaland created out of West Bengal had not been given up. Gurung was evidently trying to placate his supporters who had been categorically told by Banerjee a day earlier that she would not allow the state to be carved up. And both spoke publicly from the same village, Pintail, in north Bengal, where the tripartite agreement had been signed. That the GJM was not going to give up its demand for statehood was apparent even on the day the agreement to set up the GTA was signed. A prominent member of a study forum affiliated to the GJM and a former member of the West Bengal Civil Service, P Arjun, told journalists that the "separate state issue must not be a closed chapter". "I have already said I will not be a part of the administrative arrangement. I am a political leader and I will be there to take the movement forward…We don’t want elections to the GTA unless new mouzas (or areas) from the Terai and Dooars (regions in the plains) are included in it. We accepted the GTA only after the state government gave us an assurance that these areas would be included after verification. Otherwise, we would never have given our consent…." "Not only the Gorkhas, other communities (from) … the Terai and Dooars will also be an important part of the GTA… The Terai and the Dooars have struggled and bled along with the hills. You must not have the wrong notion that you will not be included in the GTA. Now, you must make all efforts to convince the high-powered committee (that will study the demand for more areas to be included in the GAT)." To appreciate the significance of Gurung’s statements, short accounts of the geography and history of Darjeeling district would be useful. The north-eastern part of India comprising the "seven sisters" of Assam, Arunachal Pradesh, Meghalaya, Nagaland, Manipur, Mizoram and Tripura — and the eighth state of Sikkim — is separated from the rest of the country by a narrow "chicken’s neck" near Siliguri, in north Bengal’s Jalpaiguri district – a land corridor that is physically just 29 km wide. The hilly area of Darjeeling district, comprising the three sub-divisions of Darjeeling, Kurseong and Kalimpong, account for roughly 40 percent of its total population whereas the fourth sub-division, Siliguri, including the Terai area or the foothills, is where 60 percent of the district’s population resides. Four assembly constituencies are in the Silguri sub-division; three in the remaining three sub-divisions. To enter Sikkim, one has to travel northwards through the Terai area; on its south is Kishanganj district in Bihar; on the west Nepal; and on the east, Jalpaiguri district. 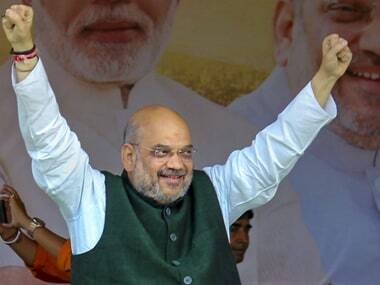 The strategic location of this relatively small area – Darjeeling district itself is 29 km long north to south and 26 km east to west — hardly needs underscoring. The history of Darjeeling is long and complex. It has been, at different points in time over the centuries, considered to be part of Sikkim, Nepal and Bhutan. The district acquired its current shape and size around the middle of the 19th century. Because of the presence of its famous tea gardens, the British wanted it to be part of Bengal since the headquarters of most tea companies were in Calcutta (now Kolkata) those days. 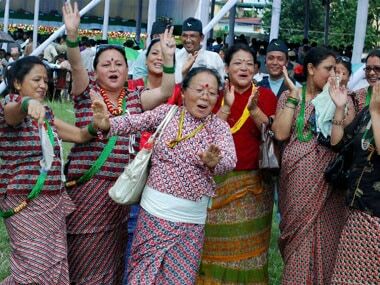 Though demands for a separate state of Darjeeling/Gorkhaland on grounds of ethnicity were raised soon after India became politically independent in 1947, it was during the 1980s that the movement for statehood gathered momentum under the Gorkha National Liberation Front led by Subhas Ghising. A semi-autonomous Darjeeling Gorkha Hill Council was set up in 1988, but in less than two decades, Ghising had been marginalised by his former aide Gurung who set up the GJM in 2008. Politics of the region took a turn with Madan Tamang breaking away from Gurung. Tamang was stabbed to death in broad daylight in Darjeeling on 21 May 2010, allegedly by GJM supporters – some of whom were named in the first information report lodged with the police. On 8 February this year, three GJM supporters were allegedly shot dead by the police as they tried to enter Jalpaiguri as part of a procession led by Gurung. In recent years, frequent agitations have disrupted the working of the tea industry and constrained the flow of tourists to Darjeeling — tea and tourism are the two main economic activities in the area. The recently-concluded assembly elections witnessed GJM candidates sweeping the polls in the Darjeeling, Kurseong and Kalimpong constituencies while an independent candidate supported by the GJM won from Kalchini constituency (in the Dooars). 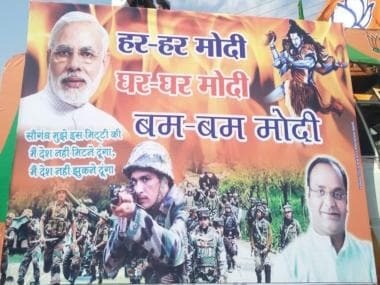 There are a few important pointers that indicate why the Darjeeling hills will not remain silent in the foreseeable future. Chidambaram should note that his "good friend of two-and-a-half years" Gurung cannot give up his demand for separate statehood – unless he wishes to meet the fate of Tamang or Ghising (who was not allowed by the GJM to bring his deceased wife’s body to her ancestral home at Ghoom, near Darjeeling, in August 2008). 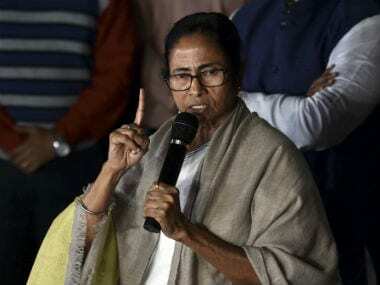 Banerjee may also observe that granting more autonomy to the GTA (not to forget the Rs 200 crore annual grant from New Delhi for the next three years) may not easily bring political tranquillity to Darjeeling. Incidentally, it has been argued that the Bodo Territorial Council (in Assam) has greater financial autonomy than the GTA. There is an important difference between Gorkhaland as it has been proposed and the formation of other new states, namely, Telangana (out of Andhra Pradesh), Vidarbha (out of Maharashtra) and Ladakh and Leh (out of Jammu & Kashmir). 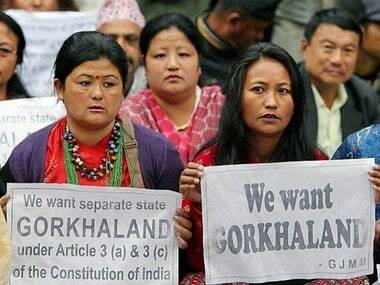 Gorkhaland is much smaller in size, closer to areas like Kodagu (in Karnataka), Cachar and Karbi Anglong (in Assam) where demands for separate states have been made. But there is a much bigger question that remains unanswered. The survival of India as a nation of 28 states and nine Union territories is an amazing story of the art and science of political accommodation and reconciliation. Can this process be continued by further fragmentation? Your guess could be as good as mine.